Aureng-Zebe: A Tragedy Acted at the Royal Theatre. 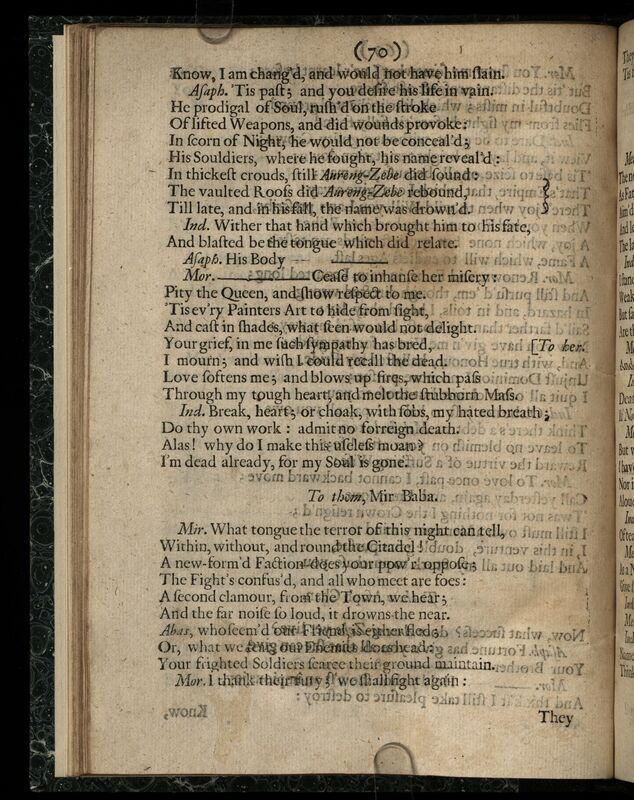 Title-page Attribution: Written by John Dryden, Servant to his Majesty. 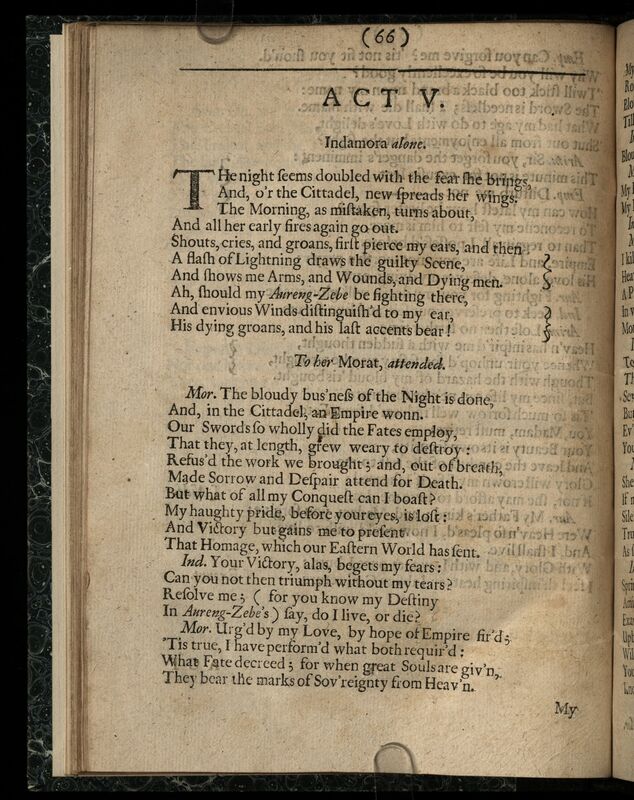 Titre: Aureng-Zebe: A Tragedy Acted at the Royal Theatre. Editeur: Printed by T[homas].N[ewcomb]. for Henry Herringman, at the Anchor in the Lower Walk of the New Exchange. TitreAureng-Zebe: A Tragedy Acted at the Royal Theatre. Lieu de publicationPrinted by T[homas].N[ewcomb]. for Henry Herringman, at the Anchor in the Lower Walk of the New Exchange. 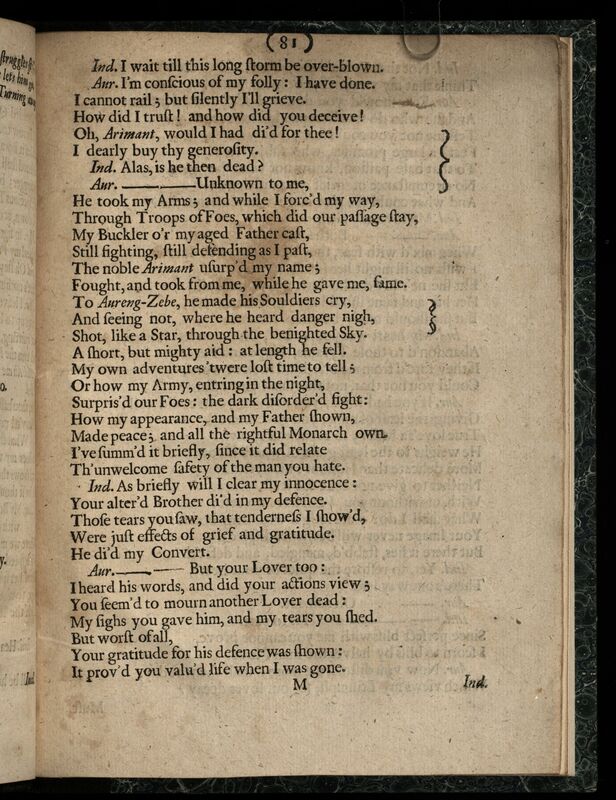 Remarques généralesTitle-page Attribution: Written by John Dryden, Servant to his Majesty.